There are a number of ways that your PA/PTA can earn money through parents' regular shopping. Giving through shopping is free and generally easy—just register your PA/PTA and spread the word to your school community. Below are descriptions of and links to some giving through shopping programs. 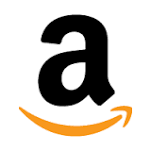 Amazon Associates is primarily a program for sellers who wish to market their goods through the Amazon company, but a school PTA can also join as an Associate and earn “referral fees” when shoppers purchase from Amazon through a special link. Your PTA then earns a percentage of the purchase price (up to 10 percent, depending on the item). Families can earn cash for their school by clipping the “Box Top” logo from the packaging of hundreds of products, from cereal to trash bags (each clip is worth 10 cents). An administrator from the school must call to sign up (1-888-799-2444), and should specify that the funds will go to the school’s PA/PTA (rather than to the school itself). You select a coordinator who will collect and mail in the clipped logos, and Box Tops issues a check twice a year. Some schools do a yearly Box Tops drive, encouraging students and parents to drop their Box Tops in a large box in the school office or front hall. iGive is a portal to more than 1700 online stores that will donate between .5 and 20 percent of your purchase price to your PTA. Parents download an iGive “button”—an extension that gets stored within their browser, then shop as usual. The widget knows when you are visiting one of iGive’s partner sites (and you’ll know you’ve landed on one when a little icon appears at the bottom of your screen). Donations are automatically routed to your school. If you don’t want the button, you can also shop by searching for your item through iGive’s site. Oliver’s Labels sells personalized labels and tags for use on children’s clothing and other items. You can raise funds for you school by registering with Oliver’s labels and encouraging parents to order from the company using your school’s name or custom link. If you'd like to publicize a fundraiser, the company will provide promotional materials, including an email blast and printable flyers. Organize a once-yearly effort, or make it an ongoing program. Oliver’s Labels will donate 20% of the sales to your school; the company will send a check when you request it. Amazon Smile, another Amazon fundraising program, is aimed more specifically at nonprofit fundraising than Amazon Associates, but it donates a smaller portion of the purchase (.5 percent). Sign up your school as a Goodshop cause and your PTA will earn money every time parents shop at this online shopping mall. A portion of your purchase price is donated to your cause when you shop at any one of the partner stores (there are more than 3000 of them). Register your PTA using the link below (click on “create a cause” to get started), and encourage parents to make their purchases through Goodshop. This sporting-goods chain sponsors “Team Weeks” to help nonprofit organizations raise money. Sign up at any Modell’s store for a four-week shopping fundraiser, and you’ll receive coupons to distribute to the school community. The coupons (which can be used repeatedly) are good for a 15 percent discount in Modell’s stores (not online), and the company will donate 5 percent of every purchase to the PTA (as long as shoppers spend $500 or more all together). Join TD Bank’s Affinity Membership Program and the bank will donate $50 every time a parent or friend opens an account (including business, checking, savings, money market, CD, or retirement account) and requests to join the PTA’s membership group. Parents who already had a TD account can ask to join the group as well, earning their school a $10 donation; in future years, the PTA gets $10 every year for each member account that remains open. The bank will also contribute .1 percent of the affinity group members’ savings and CD average annual balances. Sign up at any TD bank branch.